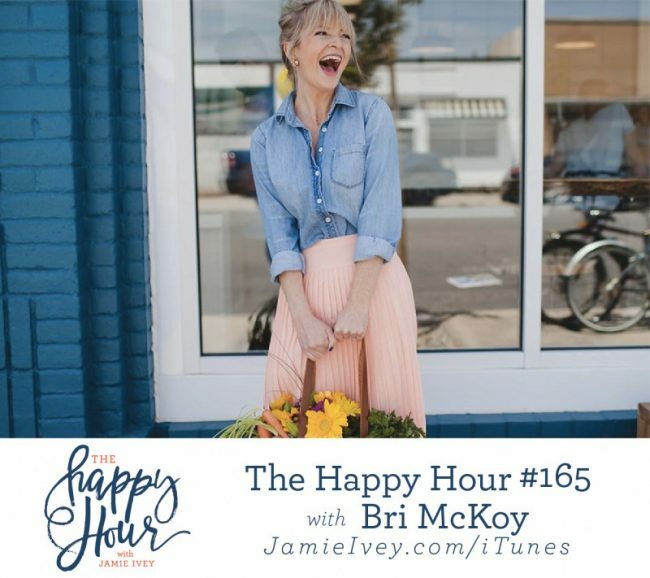 My guest for The Happy Hour #165 is my friend, Bri McKoy. Bri serves as the visionary and leader for Compassion International’s blogger program. She writes regularly at OurSavoryLife.com, a food blog with recipes and stories from around her table, and is a regular contributor to the award-winning Compassion blog and GraceTable.org, a community blog about food and faith. Bri and her husband Jeremy live in Hermosa Beach, California. On today's show, we talk all about gathering people around the table. Bri and I are both big believers in opening our home to share a meal and our lives with one another. Bri is a pro at this and writes all about it her new book, Come & Eat. We talk about how she started cooking with an onion casserole dish, and started hosting people at our house - moving from a late night meeting to a dinner time gathering and the doors it opened for honest and vulnerable conversation. Bri shares about being a military wife and what transition is like for her and her husband after his return from deployment. She shares the most helpful advice she has been given about transitioning together. Finally, we chat all about Compassion and the blogger trips that Bri leads all over the world. Bri shares how you can be involved in a trip or by sponsoring a child.